Your holiday memories may be fading as fast as your tan, but there’s one memento of those languid poolside days that stubbornly refuses to fade… sun damaged skin. Age spots, wrinkles and uneven pigmentation are advanced skin care problems caused by sun damage (or photo-ageing as it’s sometimes called). We all know skin damage prevention is better than cure, and most of us remember to slather on the sunscreen before settling onto our sun lounger to soak up those rays. However, even with strong UV protection, any exposure to the sun comes at a hefty cost to the look and feel of your skin. With today’s skin care technology you no longer have to live with the consequences of sun damage. There are a number of advanced treatments which are non-surgical and non-invasive to rejuvenate sun-damaged skin – improving texture, reducing lines and even fading pigmentation. I run through the advanced skin care treatments options and benefits here, but nothing beats an in-depth consultation with myself or one of my Eden Skin Clinic team. 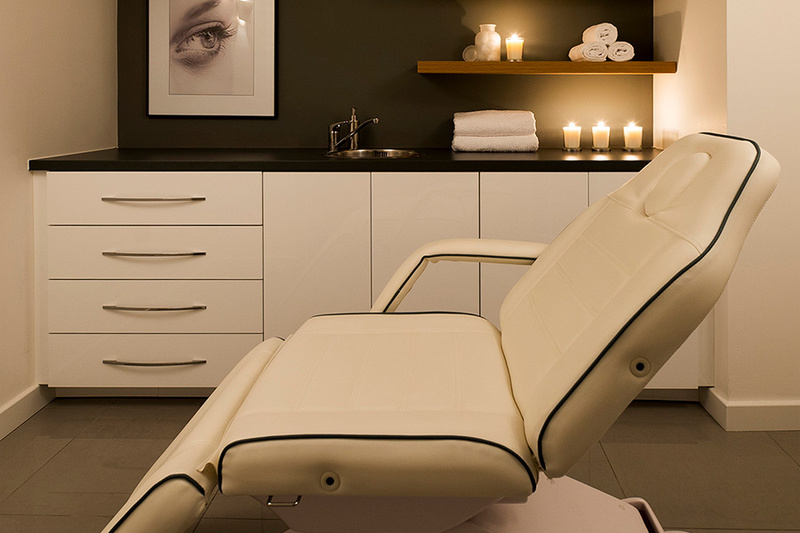 Call or pop in to book a time that suits you at either of our London clinics in Kensington or Wimbledon. Chemical skin peels are a safe, highly effective skin care treatment to correct damage to the collagen and elastin caused by over exposure to the sun. They penetrate the skin’s pigment cells and gently, yet effectively, reduce the appearance of skin discolouration. I recommend combining peels with a non-invasive treatment such as Microdermabrasion or IPL Skin Rejuvenation for best results. So let’s start with a look at IPL (Intense Pulsed Light) treatments for sun damage. Intense Pulsed Light (IPL) emits a pulse of light which is absorbed by the melanin in the sun spot. This heat causes the pigment to split into tiny particles and eventually flake away resulting in a more even tone and complexion. 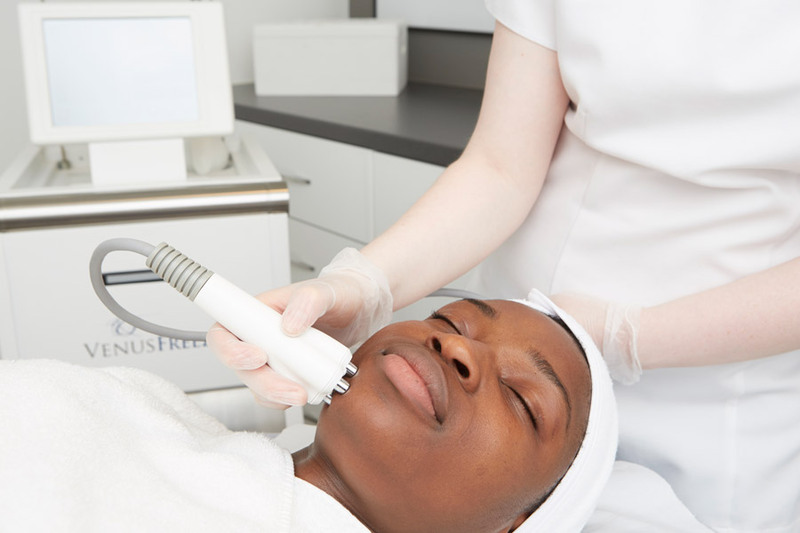 At Eden Skin Clinic we use IPL Skin Rejuvenation to treat sun damage on the face and neck. We also get superb results on other areas. The décolleté and hands are often neglected when applying sun screen resulting in hyper pigmentation, free radical damage and thin-looking dehydrated skin. Microdermabrasion is a painless cosmetic skin care treatment using crystals to remove the dead outer layer of skin cells (the stratum corneum) to reveal the underlying live cells. These cells are softer, smoother and more receptive to nutrients. The procedure smoothes and resurfaces the skin whilst reducing age spots and other pigmentation problems caused by sun damage. I usually recommend my clients combine a course of Microdermabrasion with chemical skin peels to treat stubborn sun damage problems. Of course there are many steps you can take yourself to help prevent and combat sun damage. To complement our professional Agera skin peels, try their skin care products between clinic visits to give your treatment an added boost and achieve longer lasting results. All Agera skin care products are scientifically proven to penetrate and stimulate the skin for rapid visible results. I particularly like the Agera Phyto Lightening Cream. It’s an effective way to control pigmentation by reducing the activity of melanocytes (the cells responsible for producing pigment). Containing natural active ingredients, including kojic acid and liquorice, it helps reduce unwanted pigmentation in even the most sensitive of skins. Use it combined with Microdermabrasion and skin peels for a gentle lightening effect on the skin. I can’t stress the importance of protecting your skin from sunlight, not just during the summer but all year round. Even on a dark, dank December day UVA and UVB sun care should be a part of your daily routine. Good sun screen habits will not only protect your skin against the visible signs of ageing, fine lines and wrinkles, but also reduce pigmentation, age spots and broken capillaries. Even more importantly, you’ll reduce your chances of other serious sun related lesions like basal cell carcinomas and malignant melanomas. I use and love Dermalogica Solar Defence Booster SPF 50. It’s lightweight, easy-to-use and non-greasy on the skin. If you prefer a lower SPF try Agera Daily Moisturising SPF 25 a delicate yet nourishing cream which melts into the skin, keeping it hydrated and protected. My secret weapon when it comes to protecting against sun damage is Colorescience Loose Mineral Sunscreen. It’s a powder sunscreen, available in matte and shimmer, which you pop on with a brush (even over make-up) giving a hint of colour and offering SPF 30-50 protection. It’s so easy to top up your protection whilst you’re out and about and it’s very popular with our golfing and sporty clients. Colorescience is perfect if you’re in a rush, and being light and compact, it’s a great pop-in-your-bag product. It also comes recommended by the Skin Cancer Foundation. If you’ve been soaking up the rays poolside and feel some expert advice would get your skin back on track, please call one of our London clinics in Kensington or Wimbledon for an advanced skin care consultation.